Carter GM Northshore, B.C.’s number one volume dealer is honored to be selected by General Motors of Canada as a Business Elite Dealer. GM recognizes that Carters has the tools, facilities and experience to handle all of your fleet and commercial business needs. With experienced dedicated account specialists, we will work with you to identify the right truck from our huge inventory and assist in customizing your vehicles to your work requirements. Our commitment to serving your business doesn’t stop with purchase or lease of your truck or van. Our factory trained technicians have the right tools and equipment to service your business vehicle, and get you back on the road. 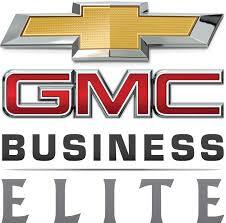 Click here to find out what a GM Business Elite Dealer is and why it is crucial to your business! !